Sales of artworks from Russia continue to hold up in the UK despite political tensions, Theodora Clarke, director of London’s Russian Art Week, tells RBTH. Here she presents her guide to the highlights of the upcoming auctions in the British capital. On June 3 Russian Art Week opens in London with sales of Russian art at the major auction houses, accompanied by exhibitions, events and performances. Financial sanctions against Russia have affected recent cultural projects with reduced sponsorship so it would have been easy to suspend our program in light of the current relations between our two countries. However, when political ties are strained then economic and cultural ones become increasingly important; this is a major reason that Russian Art Week has continued in spite of these difficulties. I was pleased to see that in May five British parliamentarians from the Foreign Affairs Committee went to Russia, in a rare moment of political contact between Moscow and London. 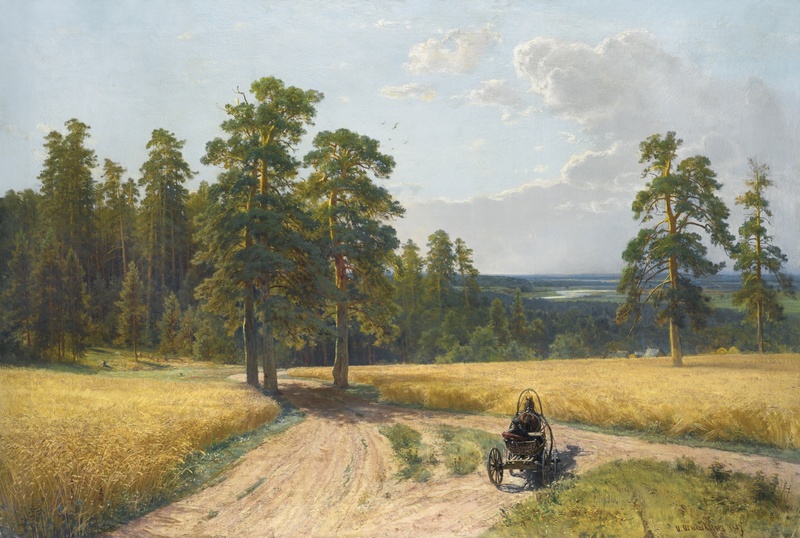 During our fair we will present the full variety of Russian art by well-known artists of the past as well contemporary painters to audiences in the UK. There is no denying that the Russian art market has exhibited a downward trend since the last Russian Art Week. As our international editor Simon Hewitt reported, in November 2015 the fair reached its lowest-ever auction total of 17.2 million pounds ($25.2 million) – less than half the 40.7 million pounds generated by the corresponding Russian Week in late 2014, and down 18 percent on the 21.2 million pounds taken at Russian Week in June 2015. During that week Sotheby's dominated the market share, selling the three most expensive lots of the week, including Arkhipov’s Peasant Woman in a Red Dress (905,000 pounds, $1.3 million), but no auction house sold works above the million-pound mark. However, whilst it is always difficult to predict the results of the upcoming sales in London, I believe that works by established artists with good provenance will continue to find buyers. My highlights of the upcoming sales start with MacDougall’s, whose second auction presents Russian photography from the 19th century to the present. I expect their collection of images of the renowned 1903 Costume Ball in the Winter Palace, celebrating the 290th anniversary of the Romanov dynasty, will attract a high level of interest. My picks from their traditional sale of Russian Art, Works of Art, Fabergé and Icons are Pechersky Monastery.The Belfry, 1929, a summer landscape by Sergei Vinogradov, the seascape The Survivor, 1892, by Ivan Aivazovsky, and An Imperial Image of Christ 'Ecce Homo' with Silver Gilt Oklad by Grachev from 1891. Next door at Christie’s the major works presented for sale include Portrait of Léon Shestov, the Russian philosopher, by Boris Grigoriev, which appears at auction for the first time. The World of Art artist Leon Bakst is always popular and the auction house will also offer Costume Design for 'La Belle au Bois Dormant': Le Loup, 1921, one of nine watercolors for this ballet, which comes from a private collection in Milan. Alongside paintings and drawings, the auction house will present decorative art, including a gem-set silver-mounted and enamel wood casket by Khlebnikov. On Bond Street, Sotheby’s present three sales of Russian art mainly featuring works from the 19th and 20th centuries. Their main “Russian Pictures” sale includes a major oil by Ivan Shishkin, At the Edge of the Pine Forest, 1897, and a strong selection of ballet and theater designs for Sergei Diaghilev's Ballets Russes by Bakst, Benois and Anisfeld. A sale dedicated to Russian decorative art will focus on Fabergé, offering jewelry, enamel objects, silver and icons. The “Contemporary East” sale will feature paintings, photography and sculpture from 1945 to today by leading artists from Central and Eastern Europe and the Caucasus, including works by Vladimir Weisberg and Komar & Melamid. courtesy of Sotheby&#39sBoris Anisfeld, Sadko, the Underwater Kingdom, 1911.
courtesy of Sotheby&#39sA rare and magnificent Imperial Presentation Fabergu00e9 jeweled gold and enamel cigarette case made for the Romanov Tercentenary, Moscow, 1913.
courtesy of Sotheby&#39sKomar and Melamid. Double self-portrait from the Sots Art series, 1972. Across the street in Mayfair, Bonhams will present a self-portrait of Mikhail Vrubel in the role of Virgil, The Story Book by Alexei Harlamov, and Self Portrait by Yury Annenkov, the only known sculpture by the artist. Alongside the auctions, museums and galleries in London will also present Russian art, from contemporary artists to renowned old masters. My personal highlight of the exhibition program is a major show at the National Portrait Gallery, “Russia and the Arts: The Age of Tolstoy and Tchaikovsky,” focusing on the great writers, artists, actors, composers and patrons in 19th-century Russia. This is a once-in-a-lifetime opportunity to see portrait masterpieces from the State Tretyakov Gallery in Moscow. To coincide with Russian Art Week, the museum will hold an international conference to explore music, literature and the visual arts in Imperial Russia. Also worth visiting nearby in Kensington is “Romanovs to Revolution: Life in Imperial Russia 1721-1917” at Sphinx Fine Art and don’t miss the “The Empress and the Gardener” exhibition at Hampton Court Palace. This is their first collaboration with the State Hermitage Museum and brings to the UK a remarkable collection of watercolor paintings and drawings once owned by Empress Catherine the Great. For visitors interested in the 20th century, GRAD will explore the development of the Soviet woman and her legacy in the “Superwoman: 'Work, Build and Don't Whine'” display (from June 18). In Bloombury, Pushkin House has dedicated its exhibition space to “Russian Contemporary. Drawing. No Limits,” showcasing works by young and established contemporary Russian artists, while Calvert 22 opens “Power and Architecture,” a season of exhibitions, talks and workshops on utopian public space and the quest for new national identities across the post-Soviet world. A new exhibitor to our program is FRONT, who will showcase “From Russia With Love,” a complete series of designer rugs by Jan Kath inspired by images from the period of Nicholas II, and traditional Siberian shawls. This year a strong performing arts program will be presented to complement the rich visual arts display, with theater performances, concerts and ballets. One of the high points of the season is the return of the Bolshoi Ballet to the Royal Opera House, with acclaimed performances such as Swan Lake, Don Quixote and Flames of Paris. Meanwhile, Opera Holland Park will present Tchaikovsky's The Queen of Spades, a haunting opera about greed and fortune. Philharmonia Orchestra will host series of concerts Myths and Rituals at the Southbank Centre, which explores the music of Stravinsky and his obsession with ritual and myth, whilst the Barbican Centre will welcome the State Choir of Russia to celebrate Russia's National Day. Anyone who is a fan of Russian theater should head to see Maxim Gorky's Vassa Zheleznova by The Faction at Southwark Playhouse and the London transfer of Flying Lovers of Vitebsk at Sam Wanamaker Playhouse, which presents a poetic interpretation of Marc Chagall's life. Theodora Clarke is the editor of Russian Art and Culture and director of the Russian Art Week in London. Download the full program at www.russianartweek.co.uk.